After living in England for a year, I can attest that the country is as steeped in history as its tea is steeped in water. It’s also a place where, admittedly, I had a hard time eating happily. I love stews, fish, cheese, peas, and anything fried, so I couldn’t understand why the food and I never got along. But I was always on a quest for really excellent old English food and at Rules, the oldest restaurant in London, I finally found it. So often we refer to those great, ancient restaurants as “not what they once were.” Of course, I can’t attest to Ruless consistency—it opened in 1798—but after my hunt for great English food, it was refreshing to see the English classics treated with such gravitas. Not only is Rules stereotypical; it’s authentic. 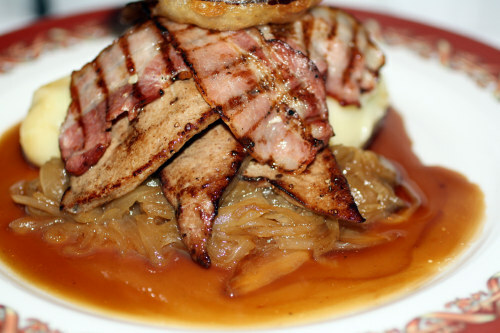 The dishes are classics, like steak and kidney pie or sticky toffee pudding, and yet, they are also local and fresh. The heads of many animals that end up on the menu have found new residence on the restaurant’s wall, and the menu warns regally: “Game birds may contain lead shot.” Look out! The dining rooms are a jumble of mirrors, portraits, sketches, and antlers. The theme is most decidedly “the hunt.” The cream walls are shadowed with gilded black accents and buttressed by burgundy banquettes, and the whole place has the aura of being an old estate house, which has never really tidied up. There’s memorabilia in every corner, from old playbills to great curved swords (from some long-forgotten war) to a crazy stuffed pheasant. While Rules distinctly played to my American tourist in London sentiments, I found something I hadn’t found in many places in England: an unabashed sense of showy identity and pride. It wasn’t afraid to be what Britons might call “posh,” although the menu is decidedly reasonable. And as a result, it spoke to a part of British culture I had very much dreamed of seeing more. 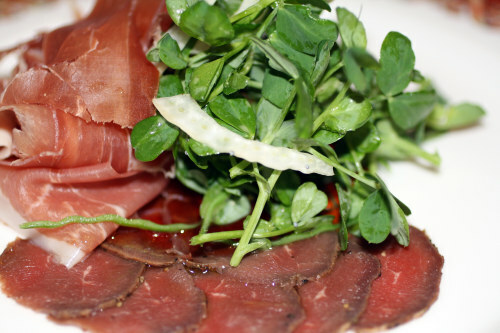 The British are fantastic about eating British livestock and produce, and Rules demonstrated the best of both worlds, pairing native foodstuffs with ancient preparations. 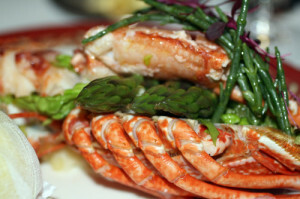 I ordered a stunning chilled lobster from the Scilly Isles, served cold with a lemon mayonnaise, asparagus tips (British purple asparagus is a great source of pride), and a silly-looking vegetable called Marsh Samphire. Because I had never heard of it before, I ordered an entire plate of the stuff. The stalks were crunchy, succulent, and just on the edge of bitter. It tasted briny and smoky with a hint of citrus. 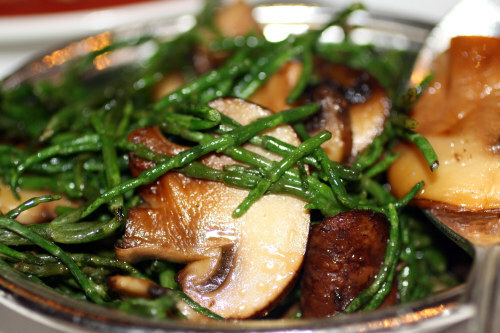 Though it resembled washed-up seaweed, the Marsh Samphire was fabulous. 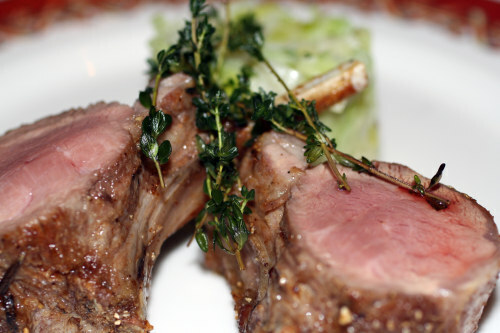 Then I had a rack of lamb from West Devon with creamed leeks, the classic mint sauce—sweet and not vinegary like the jarred kind. My English boyfriend, affectionately known as Mr. English, had smoked venison with crab-apple jelly. (You just know the venison was shot by someone lurking in some corner of the restaurant.) The gamy smokiness was cut with the fennel in the accompanying salad. His grilled calves liver and bacon with spring onion mash is a testament to traditional British cooking, but it was so perfectly seasoned and presented, it seemed like a new world to the two of us. 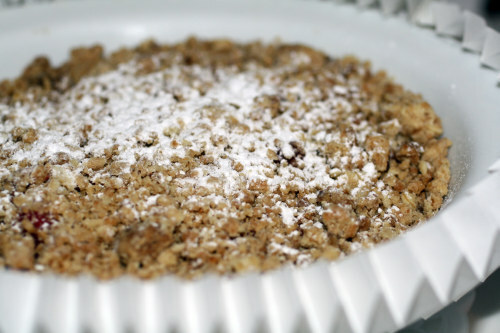 And for dessert, Mr. English tucked into the old age with apple and blackberry crumble with custard. Apple and blackberry are as iconically married to the Brits as Victoria and Albert. 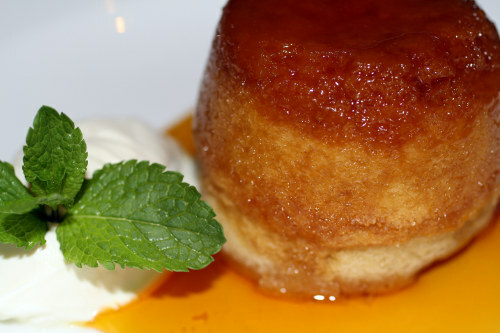 And for me, the golden treacle sponge was like Ambien in a dessert, faintly reminiscent of Aunt Jemima but sticky and fabulously over-the-top sweet. Everything on the menu came from somewhere, as if animals in England form their own peerage: rabbit, Earl of Wiltshire; shrimp, Barons of Morecambe Bay; oysters, Dukes of Cornwall; crab, Lady of Dorset; salmon, Prince of the Isle of Lewis. The entire menu is a testament to fierce English culinary pride. My dinner at Rules renewed my faith in English cuisine, because that’s exactly what it was: English cuisine. It’s a place where you feel like you should sit up straight but you’re too weighed down by the meal to actually do so. As the maitre d’ said to me, “Good weather is the kiss of death for us. We come into our own in the autumn.” Rules is a fall and winter restaurant—that’s when the famous game birds populate the menu and when your stomach growls for something warm to hold off the wet English cold. Rules has always been a wonderful place to dine, and it has been a favo(u)rite of mine since being recommended by an old family friend years ago. I went with my parents when I was younger. Now that I’m on my own, I long for the time that I will end up having the means to pay for dinner myself. Thank you for that delightful trip down memory lane. shoneyjoe at 4:55PM on 09/09/09Ugh, this makes me wish I could fly to London tomorrow. Excellent writing, as always.